Nanjing received a considerable amount of rain this past weekend, which is normal for this time of year and nothing to get too worried about. According to the Wednesday edition of Nanjing Daily though, the city is getting swamped. Swamped, that is, by shared bikes. 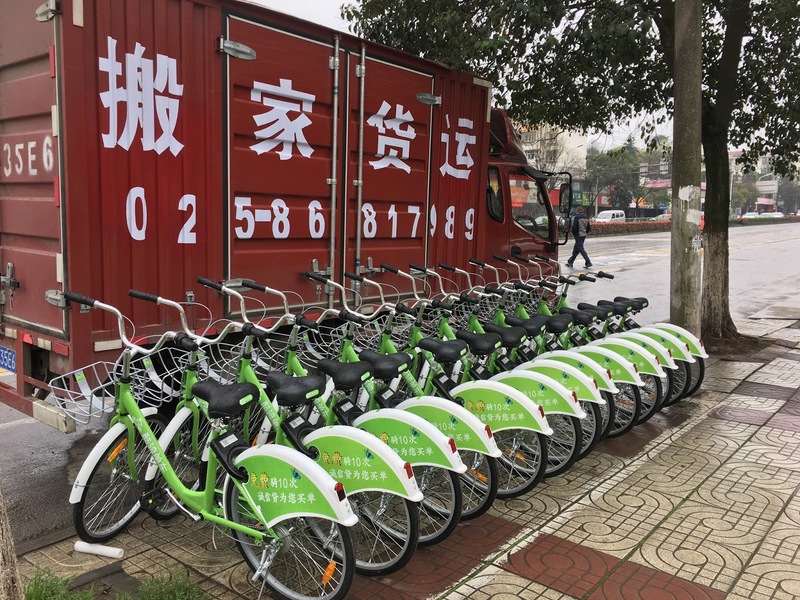 Calling the bike-sharing phenomenon a “tidal wave” [潮汐式], the local Communist Party newspaper states that since the beginning of the calendar year, possibly 200,000 shared bicycles have hit the streets of Nanjing. “Sharing bicycles has become an important part of the city's green travel,” the article concedes. 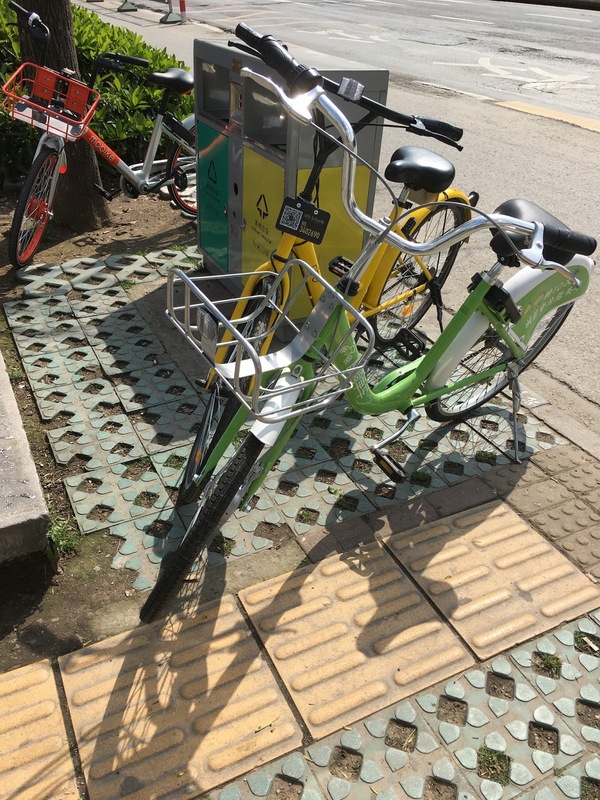 And while other cities in China have seen criticisms that bike-sharing blocks sidewalks, hinders pedestrian traffic, and conveys a sense of disorder, Nanjing officials seemed to have kept the problem largely under control. The problem isn’t the bikes but the patterns of their usage—indeed, the reference to “tides” is as much about morning and evening surges in shared-bike usage in Nanjing as it is to a flood of share-bikes generally. It’s a confluence of two problems. For some, there still aren’t enough bikes to share: More need to be made available where they’re more likely to be used. But for many others, the challenge is not getting shared-bikes, but being able to get by them. The plethora of bicycles at some spots impeding traffic of all types (pedestrian, car, and bicycle) has led some in Nanjing to characterize the shared-bike situation as creating “a city under siege” [围城]—strong terms, to be sure. The deluge has become disabling for some. Shared-bike companies have been made responsible for relocating bikes from heavily trafficked streets and sidewalks, but usually it’s been the parking attendants and city workers at subway stations and tourist sites that end up doing the repositioning and rearranging, sometimes late at night, the piece notes. Already April has seen record number of users especially during the Qingming [清明] holiday and on the weekends, the article notes, with too many bikes, much of the time with too many at the wrong locations. No one seems quite sure how to best deal with these unintended consequences of what’s being characterized as a tidal event worth talking about—both the technical issue of how to calculate ridership and the surge of share-bikes generally. Indeed, Wednesday’s article is slated to be the first in a series about the challenges that bike-sharing continues to pose to Nanjing, in the hope that contributions to solving the problem can be solicited. That’s a common problem in Chinese society: Everyone wants to complain, few wish to actually participate in finding a solution, especially one that involves self-sacrifice. Public policy in local China rarely ever involves the actual public. Officials here are quick to say that one good reason for the latter is because of the former. 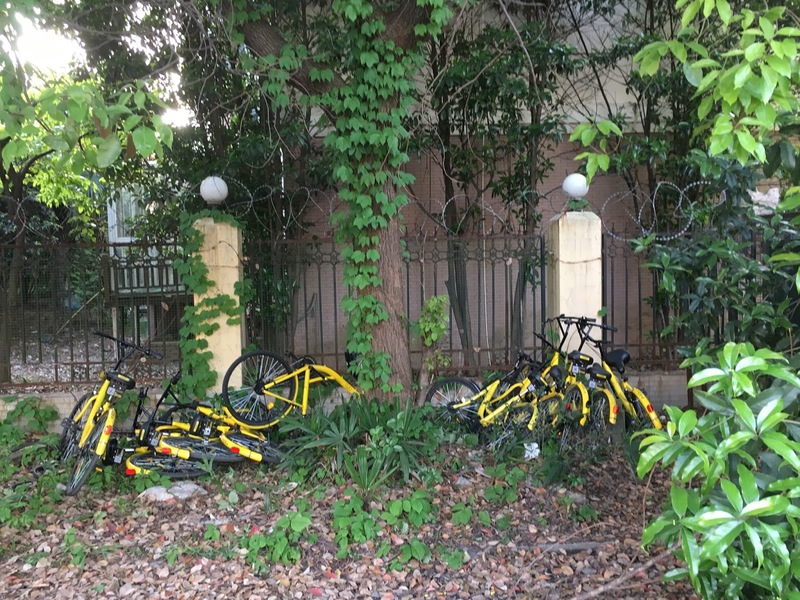 That is, it’s the share-bike firms that need to confront and fix this issue—or at least propose some way to deal with the tide. Until then, Nanjing government and its residents may have to be satisfied with just treading water.